All the statements below are historically accurate. Go to the original item for many documentary weblinks. Also Ali Sina’s organization Faith Freedom International, mentioned in this article, is highly recommended for accurate information on the Middle East and Islam. And, if you are new to the OBRL lists, and can’t figure why an article critical of Islam (no “religion of peace”) is appearing, that probably means you are ignorant of Reich’s large body of work on human emotion and sexuality, and probably have been lulled into catatonia by your favorite news-propaganda sources. 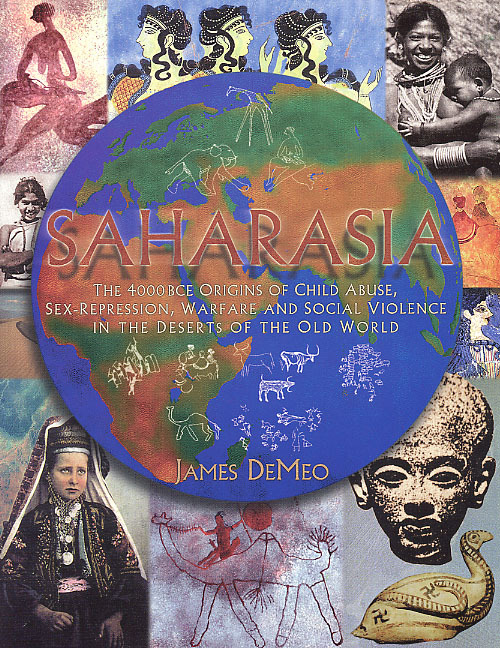 For context, read my work Saharasia:, which provided systematic evaluation and support for Reich’s findings, but also provided surprising new discovery on the origins-of-armoring/violence question. Political extremists of all types hate this book (as well as Reich, even if they don’t openly admit it), which is why everyone else should read it. Geert Wilders is an MP in the Netherlands. Over the last days our radiation recordings here at OBRL-Greensprings have been at normal levels. No increases in background nor isolated bursts have been recorded. The following letter on Radiation Measuring may be of general interest. If you want to detect specific radionuclides, then a "standard" thick-walled GM counter will not be of much help. Especially those old "civil defense" units with yellow paint are worthless to detect anything except the most extremely high radiation. What you need is a good broad-spectrum GM counter, something with a thin mica end-window, which will allow one to evaluate for increases in general background. GM counters with thick metal walls are made primarily to detect hard gamma radiation — those are not much help in this kind of work. Alpha particles as from uranium or plutonium, can be stopped by a sheet of paper, while the weaker beta particles require nothing greater than a sheet of aluminum foil to be halted. Stronger beta and gamma will be deeply penetrating, however. So you really want to have a detector that gets all of these types of radiation. Uranium and plutonium are alpha-emitters, for example. However, if a few radionuclides are on the increase, as with iodine-131 or cesium-137 from an atomic accident, or the heavier-weight mixed-oxide (MOX) elements from the reactor core, then given how these get distributed and mixed into the atmosphere over great distances, more specialized equipment is necessary, as I discuss below. Firstly, to repeat myself, the two citizen-run radiation monitoring websites I have recommended are organized by companies that sell exactly these kinds of more sensitive GM equipment. And I will repeat myself in stating the belief that the very large distances across the Pacific Ocean, from Japan to North America, make any kind of strong radiation contamination very unlikely. Not impossible, but unlikely. For example, the distance from the Chernobyl nuclear accident site to those parts of Europe which suffered from contaminations is about 1/3 the distance or less, as from Japan to the West Coast of North America. I do not wish to fully downplay the risks, but it is important to be realistic. We are personally taking the milder iodide supplements here, "Kelp Caps" with 325 micro-grams of natural iodine, as a precaution, but continue drinking our well water. We do use and sell the RadAlert 100, which is excellent for this kind of monitoring, but haven’t had any stock available to sell since a few days after the start of this crisis. The manufacturers are almost exclusively selling straight to Japan these days. But it is worthwhile to shop around and see what is available. We still have some books on the issue of atomic radiation exposure, under the left-side section on "Electrosmog and Nuclear Radiation Hazards". To evaluate risk from radiation exposure, a good first step is to use such a sensitive mica end-window GM counter to monitor open-air readings, as well as readings at the soil surface, or on open surfaces, or in snow or rain-water samples. That’s fairly easy to do, and you just hold the detector close to the material or surface you wish to evaluate. If you can hook it to a computer for data-acquisition, so much the better, and you can then watch a graphical display of radiation over days, to see if it is stable or increasing. If your instrument has a continuous counting feature, you can also do longer time-counts, run a background check over 1 hour for example, with a second equal time-count while the device is placed over a water sample from your rain or snow, or with it resting on the soil surface. Divided by 60, you can then compare the counts-per-minute from air-background with rains or soil conditions. They should be approximately the same, though in some areas there is natural radioactive minerals in the soil, or as in some parts of the dry Western USA, residues of atomic fallout from the time of atmospheric bomb tests. So one must be careful about just what is being measured on the soil surface. It is therefore better to take a sample of rainwater which has never been in contact with the surface. That’s what we are doing here — air, surface and snow-rain samples with a sensitive GM counter — which so far have not shown any significant increases in general background radiation. Such raw measuring with a sensitive GM counter is the first step in keeping alert to a problem. The next steps are dependent upon what you find with the first step. If you pick up even a doubling of background over a longer period– say a rise from 20 to 40 cpm over more than a few hours — that is not likely due to merely cosmic ray events, and should raise concerns and warrant continued monitoring. If it persists, then other procedures, such as inquiring if other stations are getting something similar, is necessary. Consult those monitoring maps I give above, for example. That’s where the radiation-mapping networks are very important. One station might show a blip or burp of higher readings over a short time, but if it does not persist and is not reflected in a wider region, then it is unlikely to be due to larger environmental contamination. If a thin-walled GM counter starts to show a continued high count, a typical analytical procedure is to use pumps to make 24-hour air samples, pulling a larger volume of air through a filter disk. That will concentrate any small radioactive particles which might be diffusely spread in the air. The filter disk is then subjected to evaluation on a sensitive GM counter. If something of greater increase is found using that procedure, then the same filter-disk is subjected to further analysis with a pulse-height or spectrum analyzer to figure out the exact species of radionuclide giving the readings. Concentrating water samples for possible radiation is a more difficult procedure, requiring firstly a larger sample of rainwater which is then concentrated by boiling or evaporation. The devices I worked with years ago used a 1 meter glass tube, with the bottom composed of a metal tray which could be removed. You filled the tube half-way with rainwater, subjected it to heating whereupon the water slowly simmered and evaporated away, leaving an evaporation residue in the metal pan at the bottom. The metal pan is then subjected to separate evaluations just like the air-sample filter disk. Unfortunately we don’t have the equipment for those latter two steps — neither the volume air-filter or water-evaporation sampling systems, nor the spectrum analyzer for specific radioisotopes. However, since we are not detecting any higher levels from open air, surface or snow-water samples, those additional steps do not appear necessary, in my view. (Not yet, anyhow.) If we detect increased open-air or rainwater readings, we’d probably shift our work activities in that direction, and try to find the funds to obtain that kind of equipment. I was in Pennsylvania in late October 1976 when Chinese atom bomb fallout hit the region, working at the Elsworth Baker Laboratory, then under the direction of Dr. Richard Blasband. We measured about a 20% increase in readings in the open air, with a doubling of readings right at the level of the surface soil and grass. That was significant, and it reflected a lot of diffuse stuff settling down from the Chinese test. Milk products were primarily affected, and were banned for a period. To my knowledge, with respect to the Japanese reactor accident, this is happening today only in Japan, maybe in some outlying Islands or on the Chinese coast, but not to my knowledge anywhere in North America, far across the Pacific. So I would agree with those who say people should take precautions in Japan, and that people in North America are, for the moment, not at risk. But I disagree with any suggestion that “only” a “mere” doubling of general background would be insignificant, especially if this is persistent and found over a larger area. Given the independent monitoring efforts, we have a double-check against whatever the government-run laboratories are stating. Simpson R.E., Shuman, F.G.D., Baratta, E.J. and Tanner, J.T. (1981). Projected dose commitment from fallout contamination in milk resulting from the 1976 Chinese atmospheric nuclear weapons test. Health Physics. 40. pg. 741-744. Please keep me informed if you do learn of any increased radiation levels in North America. The reactors in Japan continue to belch out more radioactive debris, and so it could eventually have some consequential effects even on the other side of the Pacific. Also note, nothing here addresses the important issue of oranur effects, which is a general irritation of the atmospheric life-energy which cannot be shielded, but which typically creates a variety of biological reactions, including blue-glowing or blue-haze anomalies in the atmosphere surrounding the accident sites. This can occur even in the absence of particle-detections, though typically is most acute right near to where the accident or incident. Underground a-bomb tests created something of a global oranur reaction, however. It requires very specialized equipment to detect, and we probably are the only facility in the Western half of the USA to monitor for that, given the controversy which surrounds the subject. But so far there is nothing unusual happening there either. For example we were recording up to 4000 cpm from high sunspot activity back in the mid-2000s, but throughout the entire period since the Japanese reactor accident, the oranur readings have never gotten higher than 800 cpm. Again, those are not standard radiation counts. And it is not clear to us how these instruments would react if we do get a clear fallout incident. I only mention it because several persons have asked about this. 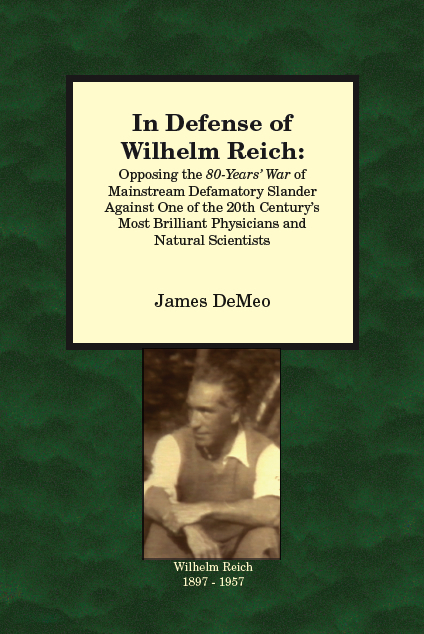 For more information on the oranur subject, please read the section on “The Oranur Experiment” by Dr. Wilhelm Reich, in his book Selected Writings. 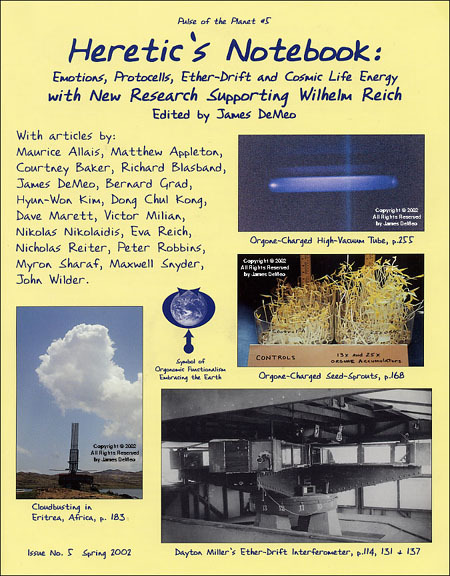 That book is available in the “Wilhelm Reich” section of our on-line bookstore, along with another report on the oranur subject: Unusual Long-Distance Atmospheric and Geophysical Effects from Underground Nuclear Bomb Tests and Nuclear Power Plant Accidents: Suppressed Scientific Evidence. See the “Radiation Hazards” section. The new 2010 edition of my Orgone Accumulator Handbook also has an expanded discussion on these issues. Over the last days our radiation recordings here at OBRL-Greensprings have been at normal levels. No increases in background nor isolated bursts have been recorded. The burst recorded on 18-19 March has not been repeated. We are also in contact with a few independent laboratories in the West, making their own measurements of background radiation and rainwater or snow samples. So far everyone we know is reporting only normal background with the occasional small bursts of activity. Monitoring continues, and will continue so long as the crisis in Japan warrants. If we do not send out additional notices, it means the situation is normal. NOTE: Midnight 19 March: Earlier today we measured radiation levels from a snow sample collected on 18 March, which showed more than double what was recorded for normal background. The readings for both the snow sample and the background were compiled from several long run averages, which suggested a significant elevated level of radiation. However, the sample rapidly lost its radioactivity, returning to background levels within a few hours, which is a confusing anomaly. Evaluations made on samples of snow falling today, 19 March, do not show elevated readings, so we must chalk this up to being anomalous and unexplained. At present there are no elevated readings to be observed at our location. NOTE: 3:30 PM 19 March: we are now picking up what appears to be significant radiation in recent snowfall. An analysis of this is underway, but this is new information that should be considered against what is written below, which was before these newer measurements were made. More info shortly in another report. According to the two citizen’s networks independently monitoring nuclear radiation, there is nothing above normal going on related to the Japanese reactor accidents. According to our GM detectors here at the OBRL Greensprings location, in SW Oregon at 4300′ elevation — which are not integrated into those networks (our internet-connection is too haphazard) — only background counts have been recorded over the full period of monitoring, starting more than a week ago. The continued low readings from two independent sources is good news, though we must be alert for potential increases over the next week, as the atmosphere on the West Coast today is only that which was over Japan at the start of their terrible crisis with the earthquake and tsunami. Several of their reactors went critical over the following week, and so that atmosphere has not yet arrived to the West Coast. As noted previously, the Pacific Ocean is very large, and the discharges of radioactive smokes and gasses in Japan were almost entirely confined into the lower atmosphere, the troposphere. This means, that air will be subjected to a lot of stormy weather and scrubbing as it moves across the Pacific. With luck, the worst of it will have rained out long before that atmosphere arrives into North America. The major loss of live is still the terrible earthquake and tsunami which took so many lives in Japan. And the worst of the atomic radiation effects are so far confined to Japan, hitting them badly, and may continue doing so over months or years. That point should not be lost. A similar or even longer list of problems and cover-ups could be made for American or European atomic reactors. Should a strong earthquake occur near to any other atomic plant, in North America or Europe, expect similar problems — which is a good enough reason why they ought not to have been built in the first place. If you have an earthquake and explosion at a coal or oil-fired power facility, you have to repair things, but this business of evacuating giant areas and repair-crews going on suicide missions and such, it makes even more outrageous the efforts by some to pooh-pooh the dangers of these fantastically-complicated and constantly breaking-down atomic monstrosities. UNUSUAL LONG-DISTANCE ATMOSPHERIC AND GEOPHYSICAL EFFECTS FROM UNDERGROUND NUCLEAR BOMB TESTS AND NUCLEAR POWER PLANT ACCIDENTS: Suppressed Scientific Evidence. Reprints of scholarly articles and reports from back issues of Pulse of the Planet journal, by Katagiri, Whiteford, Kato, DeMeo and Nagy, addressing this important issue. Documents the reality of what Reich called "oranur" as observed by eye-witnesses to nuclear accidents, as well as phenomena which can only be explained by the existence of a radiation-irritated atmospheric/planetary energy continuum. An essential tool for anyone concerned about nuclear issues. This particular webpage also has books on the issues of low-level radiation. There’s a video of this at the weblink. NEIL CAVUTO, HOST: Boy oh, boy, just what Japan does not need. An imminent earthquake warning just issued for several regions of the country. On edge there, on edge here, because it really didn’t start with Japan. Take a look at what experts are increasingly calling the so-called ring of fire that is encircling the entire Pacific Ocean. You remember Chile’s massive earthquake about a year ago. Then we had that big one in New Zealand just last month. Then of course Japan. If this clockwise trend continues, my next guest says North America looks to be on tap next. Don’t laugh. Geologist Jim Berkland is worried. When he worries, you should worry too. Jim accurately predicted, get this, the 1989 so-called World Series earthquake four days before it shook the San Francisco Bay Area. And Jim says this month is of particular concern. Why, Jim? JIM BERKLAND, GEOLOGIST: The month of October, March, and April are the three most devastating earthquakes in terms of damage in the San Francisco Bay Area in history. And we are having on the 19th of this month not only the full moon, but within an hour the closest approach of the moon to the earth until the year 2016. The next day is the equinoctial tides. So you’re bringing together three of the maximum tide raising forces. We know about the ocean tides. But there is also an Earth tide. And there is a tide in the ground water. All of these help to release sudden, built up strain, and cause earthquakes. CAVUTO: But that would seem to imply that we could be looking at a very imminent event in the United States within the next week or two? Is that right? BERKLAND: Yes. My — what I call a seismic window, this top seismic window in years is developing between the 19th and 26th of this month. And this was 7.0 monster and it says geologist had warned about it. And a week earlier, the they were talking about the tides, not to worry about the really tides coming up. I think there is worry here too. CAVUTO: So let me just understand. You’re a genius. I’m not. I want to follow your fine brain on this. CAVUTO: California, Oregon or whatever, would that mean? What type of quake or disturbance or disruption would that be? BERKLAND: Changes — changes in the magnetic field that off then precede larger earthquakes. Most animals have the mineral magnetite in their bodies, including people. But it causes homing pigeons to enable them to get home. Just before big quakes, they often can’t get home. There is the delay factor. So we look for those kinds of things. Just before the World Series quake there was very unusual beaching of rare whales in the Ocean Beach, in San Francisco. Just after that, a equally rare pigmy sperm whale washed up at Santa Cruz, within about five miles of the epicenter of the World Series quake. That kind of beaching had never occurred before nor since. So we’re looking for strange fish coming into from deepwater to the shallow water, wild animals coming into cities. I used to just scoff at these kinds of things, because I was a mainstream geologist until I found out that earthquakes are fitting a pattern. The big earthquake in the Indian Ocean followed massive beachings of whales in Taiwan — not Taiwan, but New Zealand and Australia and Tasmania. And then within couple of days, they had a 8.3 in south of New Zealand, and then came the 9.1 in the Indian Ocean, with the big tsunami, on the very day of the fool moon. BERKLAND: The previous big quake and tsunami was in Alaska, which is a 9.2 magnitude event, on the day off the full moon, on the 27th of March. BERKLAND: Especially at this time, world history, not good. CAVUTO: All right, sir. Thank you very much. Jim Berkland in San Francisco, pretty good geologist. A recent news item indicates the plume of radiation from the Japanese reactor accident will enter the US West Coast on Friday, 18 March. The NY Times also provides an independent weather forecast interactive that plots the movement of the presumed radioactive clouds. Yesterday when this was posted, I failed to notice the end-point of their animation also ends on 18 March, Friday. So it was an error to say the cloud was already approaching the coast. As of noontime today, Wednesday 16 March, the cloud was just passing north of Hawaii. The intensity of the radiation in both of these interactive graphics is based upon many assumptions, so we really won’t know what’s going to happen until some "ground truth" observation and measurements are made, directly into the cloud area. One hopes the US Government would make such measurements soon, and honestly report the results to the public. One article suggests this is going to happen. Unfortunately, we still have the specter of prior public lying by officials of the Nuclear Regulatory Commission and the Environmental Protection Agency, just as in the CDC, Big Medicine, and a dozen other government bureaucracies and private Mega-Corporate entities, regarding nuclear power plant accidents and other critical issues in the USA. Nobody ever got fired for any of that, and the same people are still around, running the show. Consequently, it is not surprising to read there are conflicting recommendations from both public and private sources on whether or not people on the West Coast are at risk, should take precautions, whether or not one should take iodide compounds, etc. It beggars belief that government agencies or the military would not have already sent aircraft into these radiation clouds to sample them, determine their levels of radiation and toxicity, etc., but so far I have heard nothing being reported on the subject. The bottom line appears to be, you are on your own, or reliant upon only private citizen’s networks to give independent analysis of the situation. Taken together, these two reporting networks provide reports from seven different stations on the West Coast USA, with another located in Southwestern Canada. So, bookmark these and pay attention starting on late Thursday (tomorrow) or early Friday. 01:00 hrs 16 March 2010, Wednesday early AM. Right now they have various reports on the situation in Japan, plus conflicting opinions from all around about whether or not to dose up on potassium iodide or other iodine supplements. Make your own decision — we have the stuff here, and as a precaution are taking small doses. There’s lots of info on internet about that, so inform yourself. We won’t enter into that discussion. What about measured radiation levels? Here is another website from the Austrian Zentral Anstalt für Meteorologie und Geodynamik, a weather-forecasting group which provides a world-map developed from computer model forecasts, for the hypothetical global movement of Cesium 137 contamination from a point-source in NE Japan. Caution is advised on how to interpret this map! It does not present directly-measured data on radiation in the atmosphere. It is a computer model which assumes a certain amount of radioactive contamination being emitted in NE Japan, and then uses existing meteorological data to plot where the hypothetical amounts of assumed nuclear radiation would be blown. 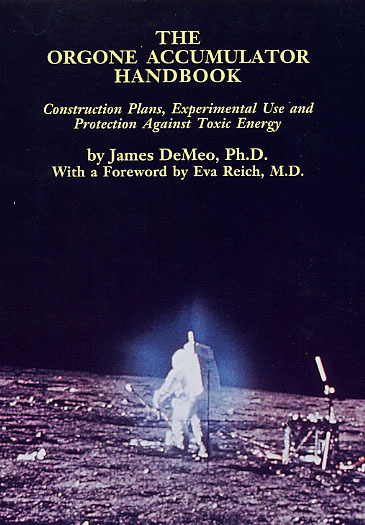 Now, this is a reasonable procedure, but assumes quite a lot, notably that they really know how much atomic radiation was injected into the atmosphere, and at what levels in the atmosphere, and that the radioactive material is persisting in the atmosphere and not being significantly diluted or rained out, or falling out by gravity. So it needs some verification by actual measurements of radiation "on the ground" or in sampling aircraft. We can nevertheless view this map as a cautionary indicator, that the atmosphere over NE Japan at the time of the accident is now making its way into the USA West Coast. But so far, we have no indications from measurements here, nor at the above noted Radiation Network, that there are actually higher counts of radiation above normal background being detected. We have only a few sampling stations to go on. If someone hears of higher radiation counts, actual measurements from reliable sources, then please share the info. Radiation levels here in Southern Oregon at our facility remain at background levels only — counts around 20 cpm, which is nothing out of the ordinary. Our OR-charged geiger counters, which detect the oranur-effects noted by Reich (which is a different component of atomic radiation, of an entirely different nature, and cannot be shielded) are also showing nothing extraordinary, as compared to what they were yielding during the weeks before the Japanese accident. If this situation changes, a report will go out immediately. Thanks to all who shared information for this report. Please continue to send in your suggestions. Following on the Japanese earthquake-tsunami disaster and subsequent atomic power plant malfunctions. 1. It does appear that one or more of the Japanese reactors have suffered at least a partial core meltdown, with significant radiation releases locally. News reports abound on this, and I cannot counsel which ones are more or less correct or accurate. Unfortunately, this is a very low-resolution map, and while it shows the general pattern of atmospheric aerosols moving east from Japan are headed to the West Coast of North America, this is hardly better than what we know generally from typical mid-latitude wind patterns. According to my own time-plots, the atmosphere which was over Japan at the time of the accidents should be arriving on the West Coast some time from late tonight (14 March) and over the next days. 3. What will this mean? So far, there is no clear reason to panic, and certainly the large distances will mean most of the air will have been well mixed or subjected to rains during the trip across the Pacific. I expect whatever radiation arriving on the West Coast will be extremely dilute and perhaps not even up to levels detectable by ordinary radiation counting instruments. But as noted in our last Bulletin, we have several top-quality radiation-measuring instruments recording the atmosphere at our location around-the-clock, and will send out a notice if any abnormally high levels are detected. It has one station in Vancouver, Canada, another near to Hanford Washington, and a third near to San Francisco. Our station in southern Oregon fills a gap, but we have no way to integrate our readings into any real-time display for internet. It is still better than nothing. Governments and universities also have their own monitoring stations, but whatever they report to the Federal authorities is subjected to political data fudging, as documented in the book "Deadly Deceit: Low-Level Radiation, High-Level Cover-Up" by Gould and Goldman, which revealed how measured data on high radiation exposures close to nuclear power plants was being literally erased by federal authorities before being made public. Official government policies have always favored atomic power, so it is always best to have an independent evaluation of the situation. Over the last 50 hours, our sensitive GM counter which detects alpha, beta, gamma and x-ray has yielded around 18-20 cpm average. That is natural background. If it stays that way, then one only has to be worried about possible long-term accumulations of isotopes which can get into the food-chain, and about which we cannot advise as yet because it is not certain such a problem will develop, and in any case it requires a much more elaborate method to track and monitor. But it is not a bad idea to get some frozen or even (yuck) canned vegetables into storage in case by tomorrow we find the situation is worse than expected. 4. We have got some good tips on the use of iodine compounds by which to take in advance of a high radiation situation. Basically these recommendations are to take potassium iodide supplements, or a few drops daily of a Lugol or saturated iodine solution — but these are not the same as disinfectant iodine, so please consult knowing people at your local health-food store or pharmacy for advice on that. 5. As to the issue of oranur and orgone accumulators, of course in a radiation event you want to keep them sheltered from outdoor dusts and contaminated air even moreso than usual. Wipe inside and out with water, sponge-cleaning and such. Tips on this are given in full in my Orgone Accumulator Handbook. Try to get the new 2010 edition if you can. Reich showed that radiation poisoning could be mitigated against by having a strong and healthy life-energy situation. Lab mice in his oranur experiment lived longer if subjected to orgone-accumulator charging before radiation exposure, as opposed to after-the-fact. So the trick is, whatever are your usual health-building steps, including the accumulator, do more of them now and it will help your overall resistance should the worst come later on. Everyone probably knows about the terrible earthquake and tsunami catastrophe in Japan. At OBRL we have several GM apparatus constantly running, monitoring background radiation as well as special ones monitoring oranur effects inside an accumulator — we will report if anything anomalous shows up in the readings. Our high-altitude location makes us a prime location for monitoring of this event, should the worst come true. If a radiation release makes it to the West Coast USA, the oranur reactions will create drought, as was noted in the 1990s following Chinese and French atom-bomb testing. Details on those observations are found in back issues of our journal, Pulse of the Planet. However, since we had a major climate shift back towards cold-wet conditions starting around 2000, the anticipated oranur reactions this time around may show functionally different reactions. We will see. I am proposing that anyone on the OBRL-News lists who is engaged in similar background radiation monitoring, or who knows of other radiation-monitoring networks, private or government, to share whatever information they have. Pertinent and helpful information could then be posted to the larger OBRL subscriber network. Especially any news reports of heavy blue glows over the Japanese atomic plants, or massive bird die-offs or disappearances should be shared, as that is a good indication of extreme oranur conditions. This happened at both Three Mile Island and Chernobyl, as noted in the published articles in our Pulse. These earthquakes were preceded by a large outburst of solar activity, of several large sunspot groups – the first in many months – plus solar flares. This triggered off at least two major volcanic eruptions, in Hawaii and Indonesia. Geomagnetic activity was particularly high, with strong aurora reactions, 24 hours before the earthquake in Japan. This has to be the worst natural disaster in my lifetime. Our deepest sympathies and hopes for recovery go out to the Japanese people. ETHIOPIA: MUSLIMS BURN DOWN FIVE CHURCHES WHILE SCREAMING THEIR WAR CRY “ALLAH AKBAR,” FALSELY ACCUSE CHRISTIANS "DESECRATING THE QUR’AN"
Related…. the UN Human Rights Council has been, for years, shilling for Col. Qaddafi (and other Islamic and communist mass-murdering nations), whose brutality only now comes to their attention.